maineartscene.com is an online arts and culture magazine dedicated to representation for all across the state of Maine. The publication was started in 2008 and at the time, had the look of other similar publications such as The Huffington Post or the New York times–very text heavy with a lesser focus on the images. In the summer of 2014, maineartscene.com was in need of an updated look, and the concept of flipping the old into the new was explored. The result is the magazine is now more image heavy with a rich design that looks smart and modern while still providing visitors with the content they need. 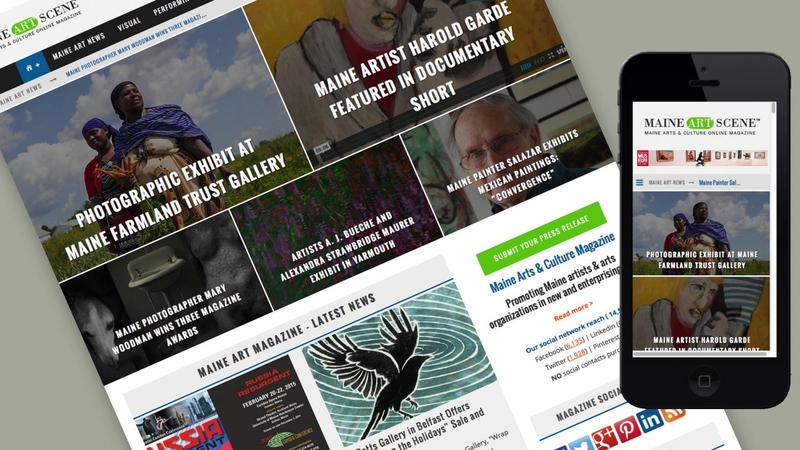 With the new design of the site, the essence of what the publication strives to do is evident: highlighting the breadth of arts and culture in Maine.